Receive confirmation emails, event notifications and special invites. THE GO POOL PROUDLY PRESENTS GO FRIDAYS. DOORS OPEN AT 9AM WITH GREY GOOSE AND BACARDI SPECIALTY COCKTAIL PITCHER AND BOTTLE FEATURES ALOONG WITH DOS EQUIS BUCKET AND DOM PERIGNON CHAMPAGNE FEATURES UNTIL 12 NOON. 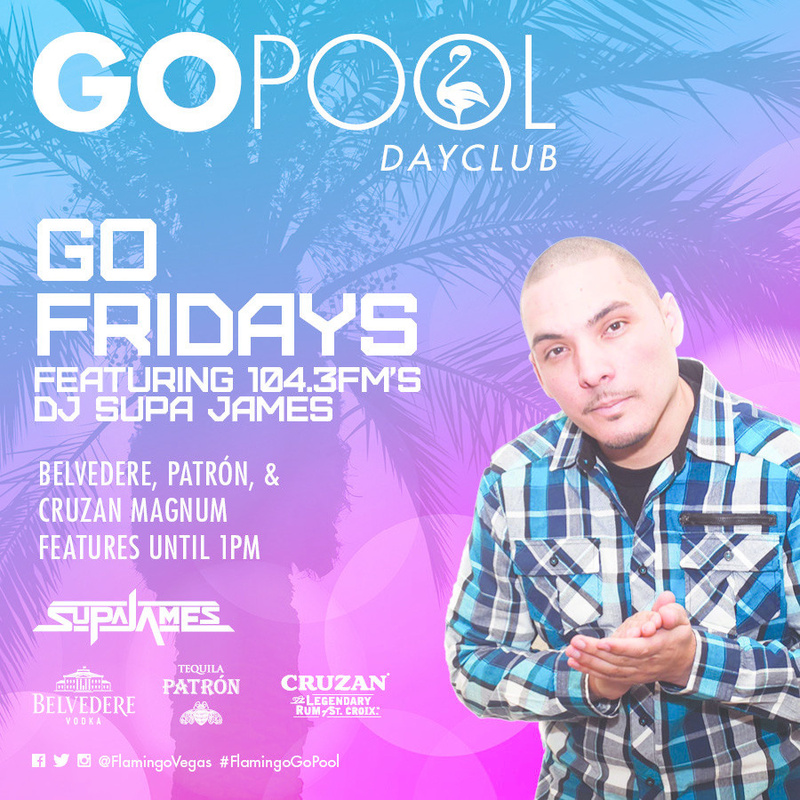 104.3 NOW FM'S DJ SUPA JAMES AND ERIC SEAN WILL BE IN THE MIX FROM 12 NOON UNTIL 5PM WEEKLY. FREE ENTRY FOR ALL FLAMINGO HOTEL GUESTS.